WALLINGFORD - A day after voicing support for a Veterans of Foreign Wars leader in Connecticut convicted for bigotry crimes as a Ku Klux Klan member, the group said Tuesday it does not tolerate racism and the man has resigned. Scott E. Palmer stepped down as senior vice commander of Post 591 in Wallingford on Monday night, VFW National Commander Keith Harman said. The local post and a national VFW spokesman said previously they did not have concerns about Palmer's service. The Record-Journal newspaper reported that Palmer was among several Klansmen arrested as a part of a hate crimes investigation in the Wallingford area in the 1990s. Palmer was convicted of intimidation for punching a customer outside a gay bar and for yelling ethnic slurs at a group of Hispanic men. Palmer did not respond to calls seeking comment. The local VFW's Facebook page said they removed Palmer. Officials there deferred questions to the national VFW. 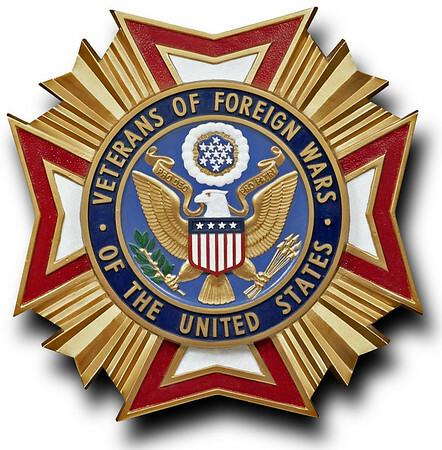 The president of the Connecticut NAACP, Scot X. Esdaile, said he was appalled by the organization's initial decision to stand by Palmer and called for national VFW leaders to intervene. Posted in New Britain Herald, General News, State on Tuesday, 3 July 2018 14:45. Updated: Tuesday, 3 July 2018 16:59.